Mermaid Blankets Just $16.88! Down From $50! You are here: Home / Great Deals / Amazon Deals / Mermaid Blankets Just $16.88! Down From $50! 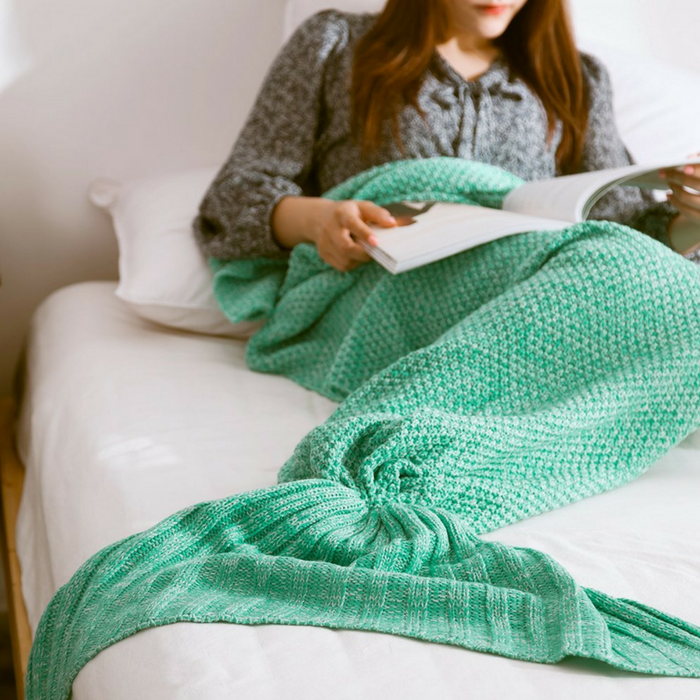 At Amazon, you can score this Mermaid Blankets for just $16.88 down from $50 PLUS FREE shipping with Amazon Prime or for orders $25 and above! Holidayli add the concept of mermaid into the sleeping bags, which were designed for those who love mermaid. Made of high quality materials, Holidayli’s crochet mermaid tail blanket won’t cause harm to skin. Crocheted, Holidayli’s blanket is stretchy, so it’s size is suitable for most of individuals. Holidayli mermaid tail is a nice Christmas gift, Valentine’s day gift or on any occasion! HAND KNITTED PATTERN: Slip inside and look and feel like a real mermaid! Make your little girls’ mermaid dream come true. It’s the best choice as Birthday, Christmas, New Year and all Holiday gifts.